The State Committee on Property Issues held another auction for privatization of the state property on April 4. The Committee announced that 20 state objects were privatized at the auction. The most expensive state facility sold in the auction was the dental clinic #1 in the city of Sumgayit at the price of 350,200 manats ($204,283). As for the regions of Azerbaijan, the most expensive privatized facility there was the Shakhmehi company in the Guba region. 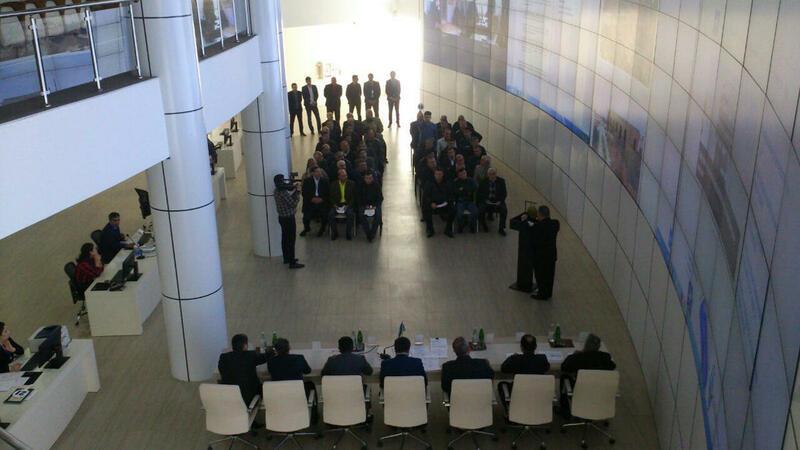 The Committee informed that the state objects sold in the auction included eight vehicles, six small enterprises in Garadagh and Nasimi districts of Baku, in Sumgayit, Yevlakh and Guba regions of the country, six non-residential areas in Narimanov and Nasimi districts of Baku, as well as Mingachevir and Kurdamir. The next auction on privatization of state property will take place on April 11. The third stage of privatization in Azerbaijan started in the framework of the presidential decree dated May 19, 2016. Under the decree, the acceleration of the state property privatization process has been defined as an important direction of the economic policy. The portal for privatization – privatization.az, launched in July 2016, reflects all necessary information about the facilities, their addresses, location, and even initial cost and aims at facilitation of the process. The website is available in two languages - Azerbaijani and English. “Why Azerbaijan is special” section available on the website explains the reasons and advantages of investing in the country. The privatization process is designed to attract both foreign and local investors, as well as improve the business environment of Azerbaijan.